A new study has revealed how extreme weather deepens the cycle of homelessness, writes Danielle Every from Central Queensland University and Australian Red Cross national resilience adviser John Richardson, in this article which first appeared in The Conversation. The images of Hurricane Harvey in Texas have shown how extreme weather can rob people of their homes. But what about those who have no home to begin with, or whose living situation is already precarious? Almost one-third of people who have been homeless have suffered extra trauma because of extreme weather, according to our research involving 163 homeless services in Australia and New Zealand. What’s more, 19 per cent of people in our study cited extreme weather as a factor in their clients becoming homeless in the first place. 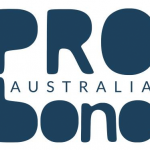 Our study, carried out on behalf of the Australian Attorney-General’s Department and published by the Australian Red Cross, featured surveys, interviews and focus groups involving people with experience of homelessness. We also talked to workers with homeless services and members of the emergency services. We found that 39 per cent of people who have experienced homelessness lose their home during severe weather. 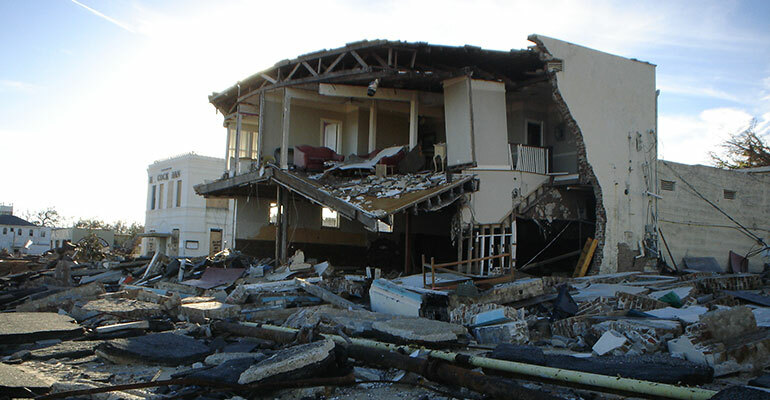 In media coverage of weather disasters, both overseas and in Australia, we often hear about how many homes have been damaged. But for those vulnerable to homelessness, the definition of “home” is much broader than this. Our research focused on people who are already homeless or at risk of homelessness. This broad group includes rough sleepers, people who are couch-surfing or living in vulnerable situations such as temporary caravans, and those escaping domestic violence. Compared with those who own or officially rent their home, and have access to financial security in the form of income or insurance, these people are especially susceptible to extreme weather. The problem is compounded by the fact that people in vulnerable living situations are also more likely to be suffering problems such as social isolation, mental illness, substance abuse or unemployment. People in our study said they had lost tents, caravans, temporary structures such as shipping containers and cardboard shelters, and blankets and sleeping bags in open-air areas such as parks. This “loss of shelter” for the homeless community also includes losing a previously safe sleeping area to mud and water – until the area dries out it can’t be used for sleeping. Less obvious, but critically important for people’s well-being, are the impacts of losing your shelter. During extreme weather, people are more likely to seek shelter in the lee of buildings like churches or public toilets to stay dry. This provides temporary shelter, but increases the risk that they will be moved on, or that they will face aggression and violence. Besides losing shelter, extreme weather can also trigger mental health issues or worsen existing conditions. Community services working with people experiencing homelessness report that 30 per cent of their clients had experienced mental trauma from an extreme weather event. These impacts on shelter and mental health illustrate the hardship that extreme weather can bring to people who lack the money or resources to find shelter in a storm. Providing suitable shelter is crucial. A lack of affordable long-term accommodation, and of short-term options such as drop-in centres with laundries and showers, was the biggest risk factor for people experiencing homelessness during severe weather. In 25 per cent of the extreme weather events we studied, there was no publicly available shelter for people who are homeless. Access to weather information and warnings is important too. Our research showed that 50 per cent of people experiencing homelessness did not receive any warning of the coming events, and 45 per cent had no access to information about what to do in the event of extreme weather. For those who did receive information and warnings, this was most often through the outreach services provided by community homelessness agencies. This vital capability can be expanded, for example by providing staff with equipment such as four-wheel drive vehicles in rural and remote areas. This would help not only with disseminating emergency warnings, but also with distributing items such as bottled water, and helping people without transport to reach shelters and hospitals. However, homeless services themselves are also highly vulnerable to the impacts of natural disasters. Recent research in Australia found that 25 per cent of community organisations could not recover if their infrastructure was damaged by extreme weather. Extreme weather can damage crucial infrastructure such as shelters and computer networks; it forces staff to work harder to meet the demand for shelter, bedding, food and emergency supplies; and it makes reaching people more difficult in cases where roads are cut off or mobile phone towers have been damaged. As one agency put it: “extreme weather stretches our already disproportionate response to need”. Homeless services can prepare by stockpiling items such as weatherproof swags, protective clothing and shoes, mobile phone chargers, cash cards, food and water. Homeless services can also use online emergency planning and preparedness tools like ACOSS’s Resilient Community Organisations Six Steps to Resilience. But unless the situation improves, those least fortunate can find that they are living with the aftermath of events such as cyclones long after most people have cleaned up and moved on. About the authors: Danielle Every is a senior research fellow in social vulnerability and disasters at Central Queensland University. After completing a PhD in Psychology at the University of Adelaide, Every began working as a research academic in the area of irregular migration and everyday racism. Recently, she began working in the area of social vulnerability and natural disasters. Her research is primarily with the homeless community developing greater awareness of and preparedness for severe weather. Other research includes community experiences of bushfires, animal rescues in disasters, and psychological preparedness for disasters. This article was coauthored by John Richardson, national resilience adviser at Australian Red Cross.